It may be dry and sandy now, but the Sahara desert used to look very different. Evidence buried deep beneath the dunes reveals that the landscape has been changing naturally over thousands of years. The Sahara is the largest hot desert on the planet, covering 9 million square metres. The air above the desert is so warm that the water vapor it contains cannot condense into rain. Radar technology shows that the Sahara has not always had a dry, unforgiving climate. At the end of the last ice age, an area of low pressure brought much rain to the Sahara, creating fertile river valleys. 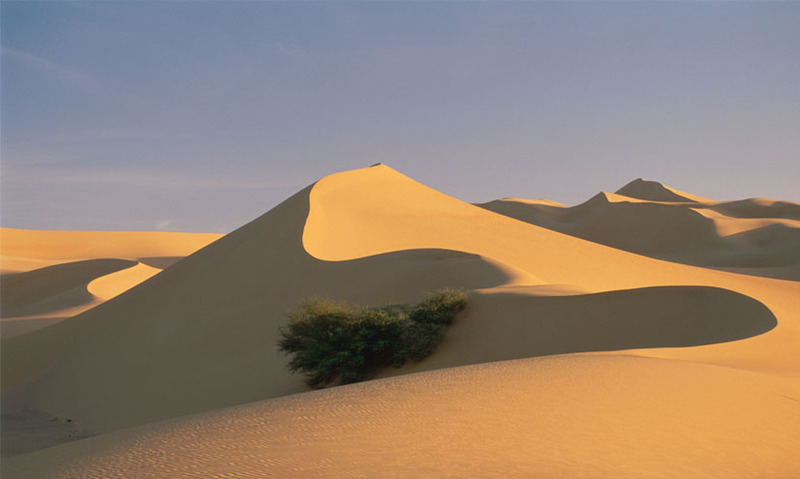 The Sahara is the largest hot desert on the planet. 9 million square kilometres of dry rock and sand. But how did it form? The Sun's heat is at its strongest around the equator. It warms the air, causing it to rise, dropping its moisture in the process.